In some cases, common PC issues can be easily resolved but there are times when we do need to get the experts involved. In previous blogs we talk about prevention being key, however, sometimes the issues can crop up and then we need to fight the IT problem fires. 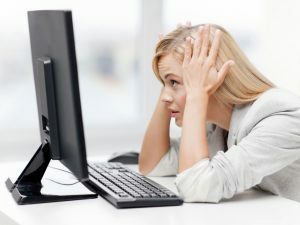 From virus infections, slow computers, browser issues to printer issues we have some tips listed below on how to resolve these problems but if you need further help we are here to use our IT superpowers to get you back on track. New PCs have a lot of programmes already loaded that are not needed whilst older PCs or devices generally accumulate a lot of programmes over time and these programmes often run in the background without you knowing as you can’t see them. To fix this you can remove unused programmes by following these steps but be careful not to uninstall important ones. Look through the list and uninstall any unused programmes. Clean the whole system to look for any unnecessarily large files. To fix this you can do a disk clean up by following these steps. Ram can greatly increase processing speed for less hassle and time while a hard drive uses faster speeds to access data and files that you have on your computer. To fix this you can do a system scan and know if you need to update your hardware. Global ITN’s 24/7 IT Helpdesk Services will support and manage your company’s PCs, laptops, servers, email, VoIP, mobile, network and office applications. Ultimately, we make sure your team has a seamless working experience. This will, in fact, enhance productivity and reduce the time, personnel and resource burden of an in-house IT department. Furthermore, by enlisting the support of Global ITN’s IT Service Helpdesk gives you the confidence to know that your business’ IT functions have reliable support at all times.